Carpenters' Hall is a treasure in historic Philadelphia. It hosted the First Continental Congress in 1774 and was home to Franklin's Library Company, The American Philosophical Society, and the First and Second Banks of the United States. of the City and County of Philadelphia, the oldest craft guild in America, since 1770. Carpenters' Hall can accommodate events for up to 125 guests. The Hall is open to the public from 10:00 AM to 4:00 PM, Tuesday through Sunday and cannot be rented during those hours. Today, Carpenters' Hall is free to the public and welcomes over 150,000 world-wide visitors to this wonderful Georgian building. Admission has been complimentary since 1857, when it became the first privately owned American building to be opened as a historic monument. So much of 18th century Philadelphia — its homes, churches and historic sites — is framed by three city blocks just south of Carpenters' Hall. 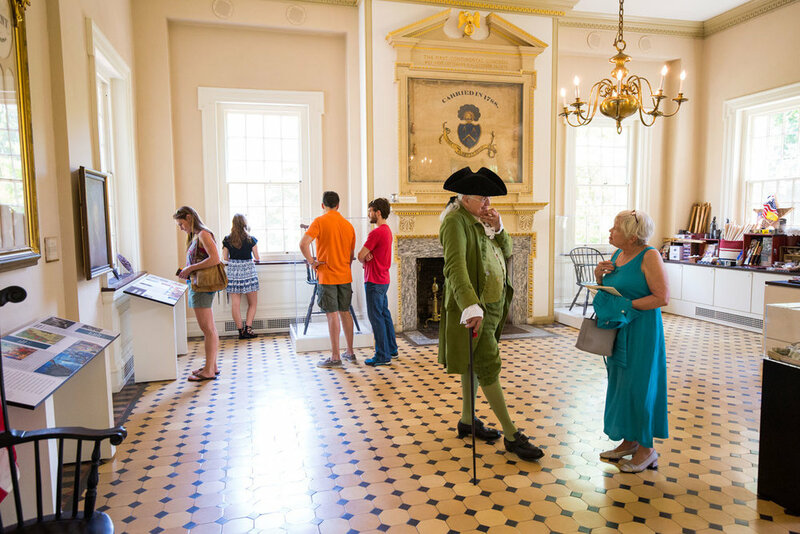 Use the directions in the link below to enjoy an hour-long stroll of Old City and Society Hill. Peruse the newly digitized records of the oldest craft guild in the United States, who let their Hall to the delegates of the First Congress, Benjamin Franklin, the United States War Department, the American Philosophical Society, The First Bank of the United States, and much more! 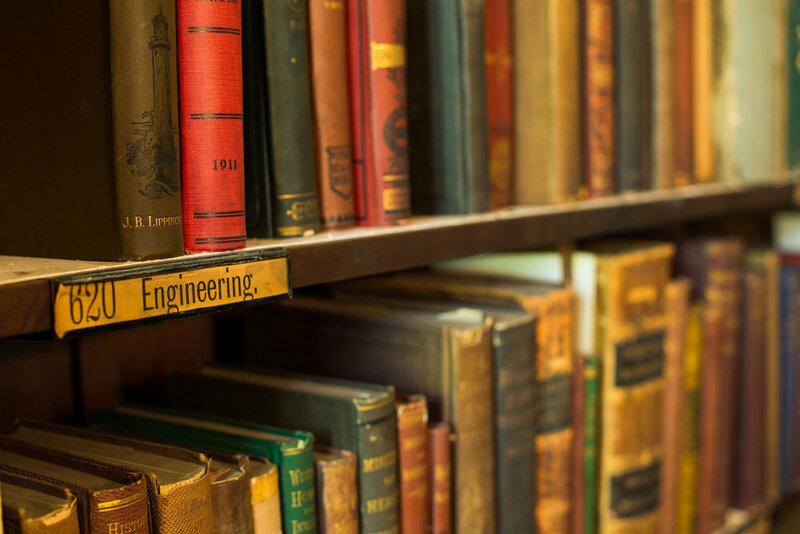 These freshly uploaded records offer insight to the citizen scholar and professional historian alike, available on the American Philosophical Society website link below. 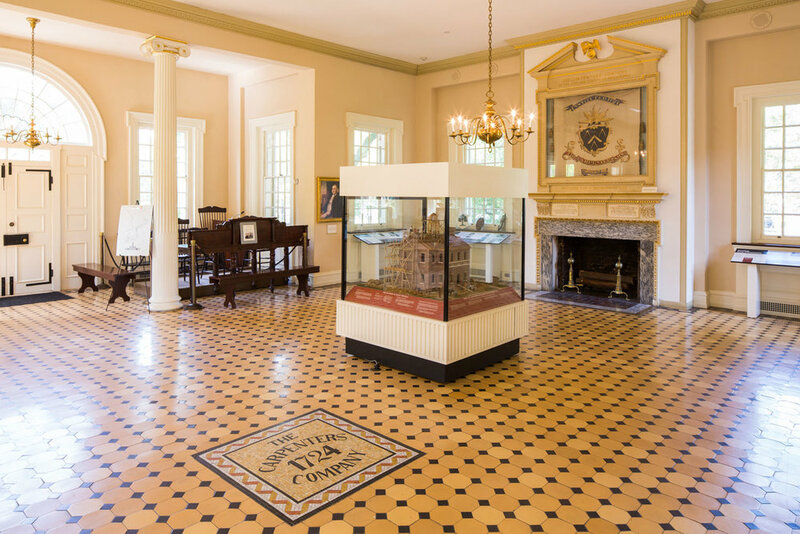 Supporting Carpenters' Hall keeps a historic landmark open free to the public, sharing its essential role in the formation of the United States, as it has since 1857. Known as the "Birthplace of Liberty", Carpenters' Hall was the location of the 1774 meetings of the First Continental Congress. 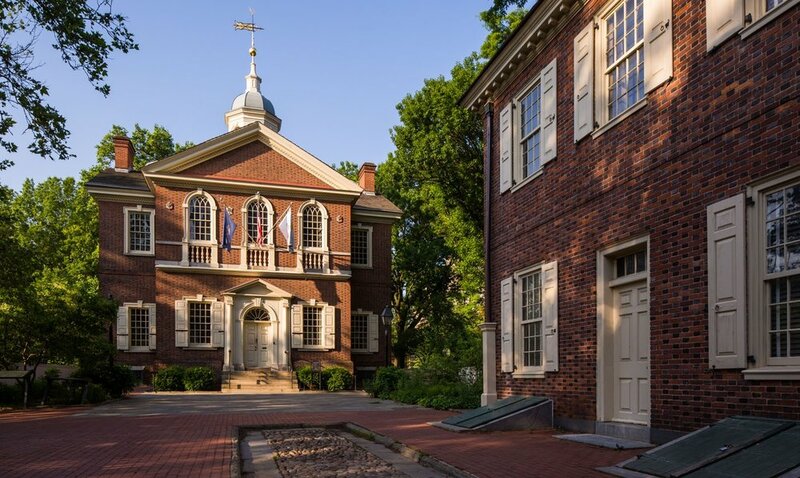 Sunday 6pm & 10pm ET American Artifacts: Philadelphia's Carpenters' Hall Carpenters' Company historian Roger Moss leads a tour of the building that served as the meeting place of the First Continental Congress in 1774. It was also the former home to Ben Franklin's Library Company, the American Philosophical Society, and the First and Second Banks of the United States.